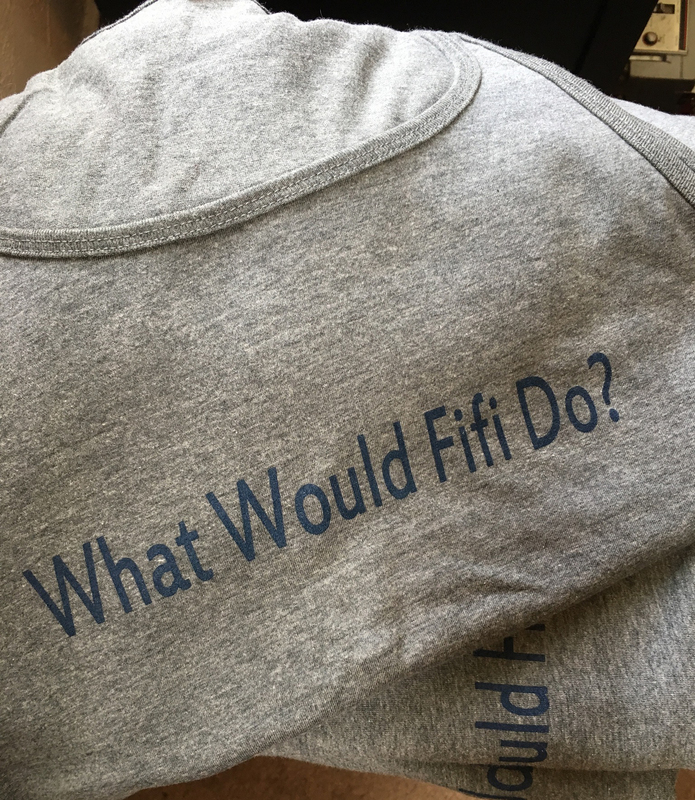 MonicaRaqs: What Would Fifi Do? 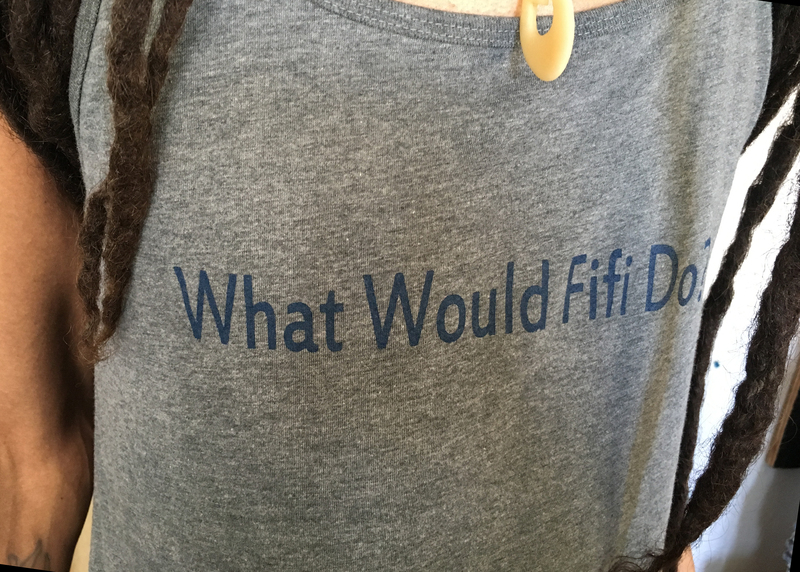 We printed up a small batch of Fifi tanks in a new color scheme for the Summer. 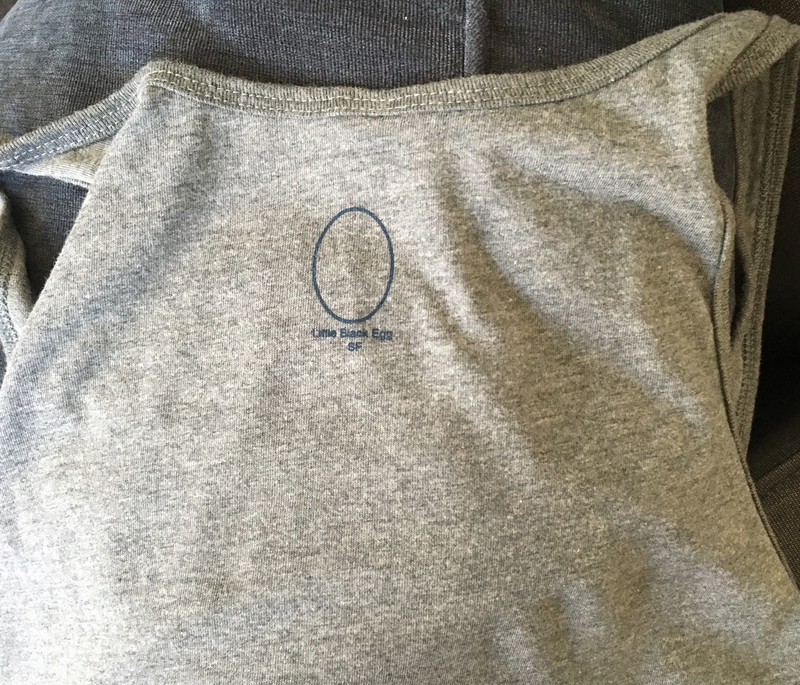 Manually screen printed in San Francisco by The Little Black Egg. These will not be reprinted again in this color scheme. Free shipping for Labor Day Weekend! No code needed. Shipping within the US is $5 flat rate. We ship using the US Postal Service within 5 days of receiving your order. Need shipping outside the US? No prob. Please email for rates, or go ahead and order as if it were domestic and we'll invoice you for the difference. Pick-up or meet-up in San Francisco is an option, too, as is buying one in person at Monica's dance classes. No refunds. Exchanges only, but only if we have the size you need in stock. If you need another size, email us within 5 days of receiving your shirt and we'll get the exchange rolling if we have the size you need. Buyer responsible for return shipping and re-shipping. Looking for the ribbed black tanks with silver ink? We have some in Small, and some thermals in medium. I'm looking for a new 'wifepleaser' style tank supplier. They'll be back! In the meantime, dude—go grey! !